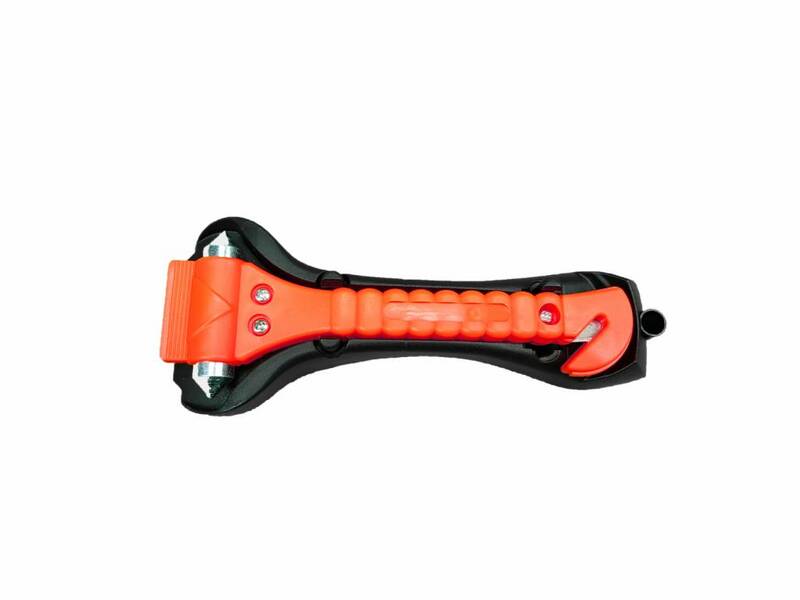 The BonQ Emergency Hammer comes with a belt cutter. 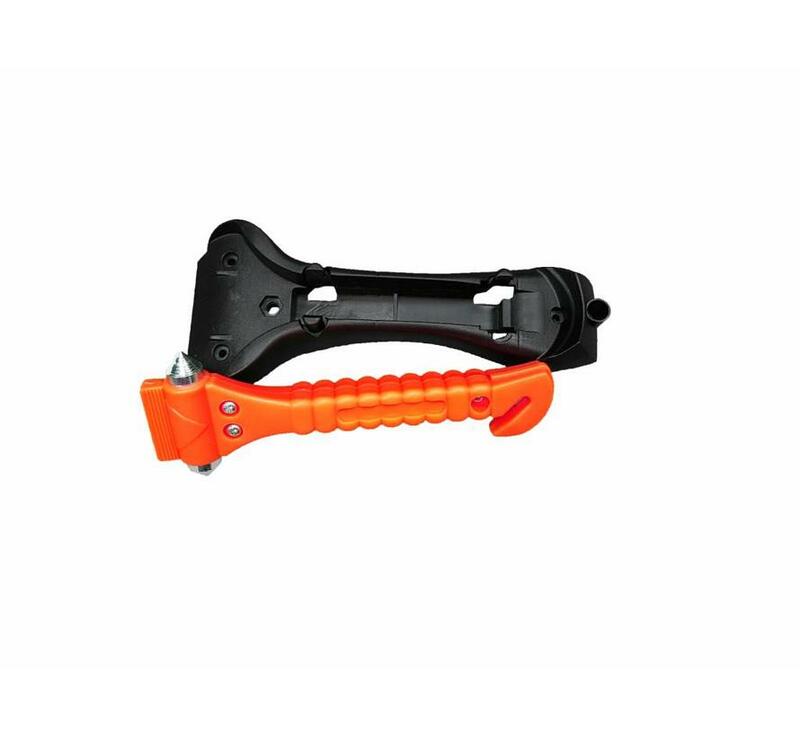 We recommend that you attach the emergency hammer to a location where you can quickly access it in an emergency situation. 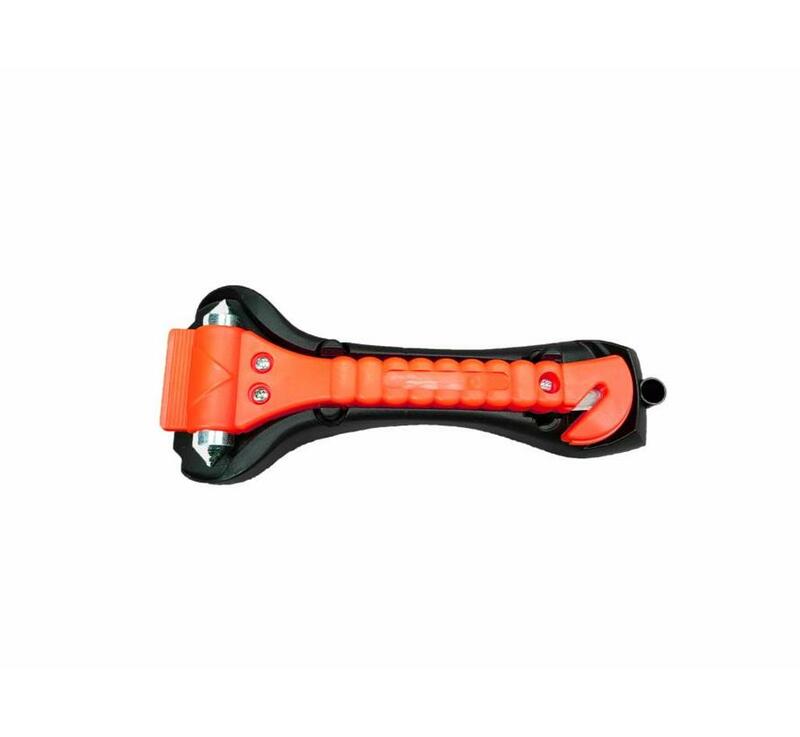 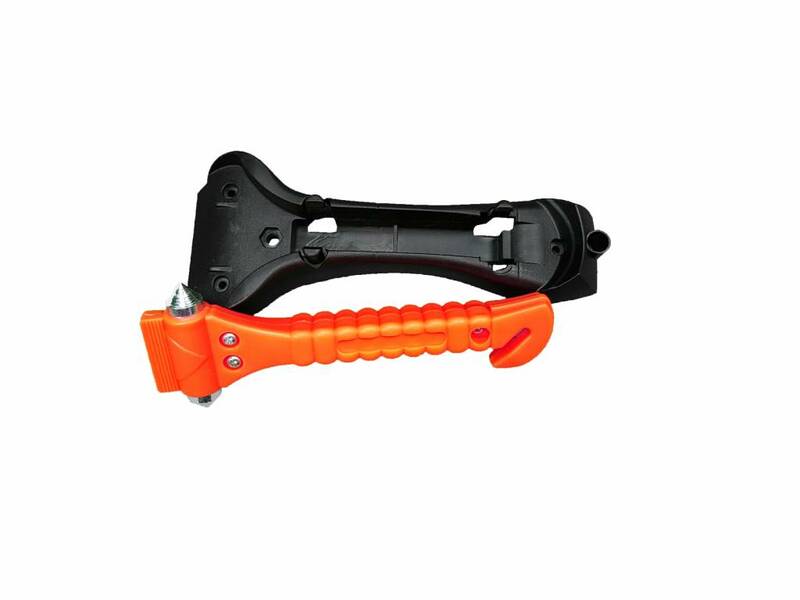 Emergency hammer with belt cutting function and holder for attachment.